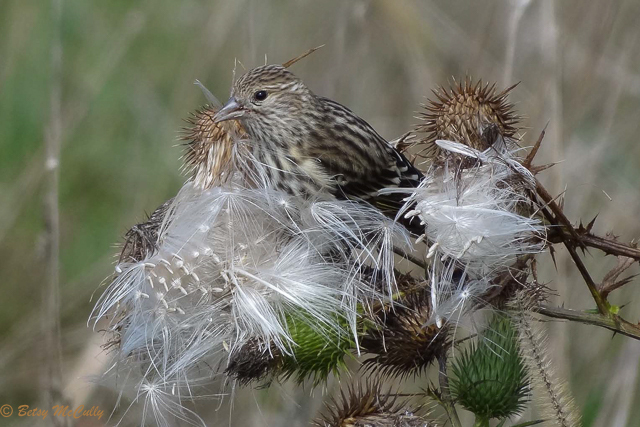 Pine Siskin (Spinus pinus). Open woodlands. Occasional winter visitor. In steep decline.